Staring down a belligerent groundhog on the trail, plunging into waist-deep water to circumvent a beaver dam, and taking lunch breaks on rugged mountain peaks are all in a day’s work for writer Melanie Radzicki McManus. The Wisconsin-based journalist and author has always loved hiking, but it was on Spain’s Camino de Santiago Trail almost a decade ago that she developed a passion for long-distance trekking—so much so that she returned to the Camino to hike another 620 miles and complete a hiking guide. In the decade since, she has hiked thousands more miles on America’s National Scenic Trails. Ice Age Trail. Photo by Gary Knowles. Though the popularity of these trails is growing, they still offer plenty of solitude, wildlife viewing, and opportunities to connect with nature. When McManus discovered one of the National Scenic Trails—the 1,100-mile Ice Age Trail—was in her own state, she was floored. “I’d been writing about travel in Wisconsin for years and never heard of it,” she says. 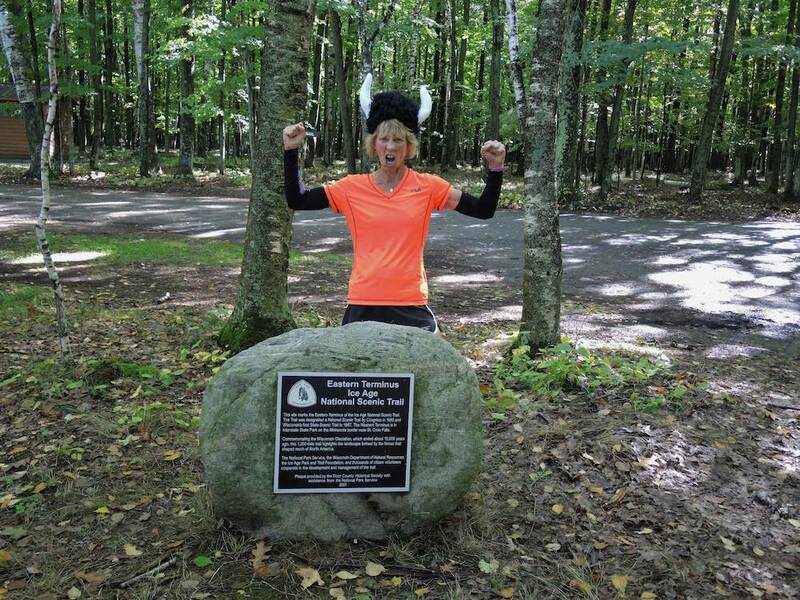 After hiking the entire trail in 36 days (a female speed record for the Ice Age Trail), she wrote dozens of articles, published Thousand-Miler: Adventures Hiking the Ice Age Trail, then hiked it again, this time in just 34 days. That’s when she set her sights on hiking all of America’s long-distance trails. To date, McManus has added three more trails to her portfolio: the 1,300-mile Florida Trail, 400 miles by bike on the Natchez Trace Parkway, and the 215-mile New England Trail. She still covers many miles in a day, but isn’t always in it for the speed anymore. 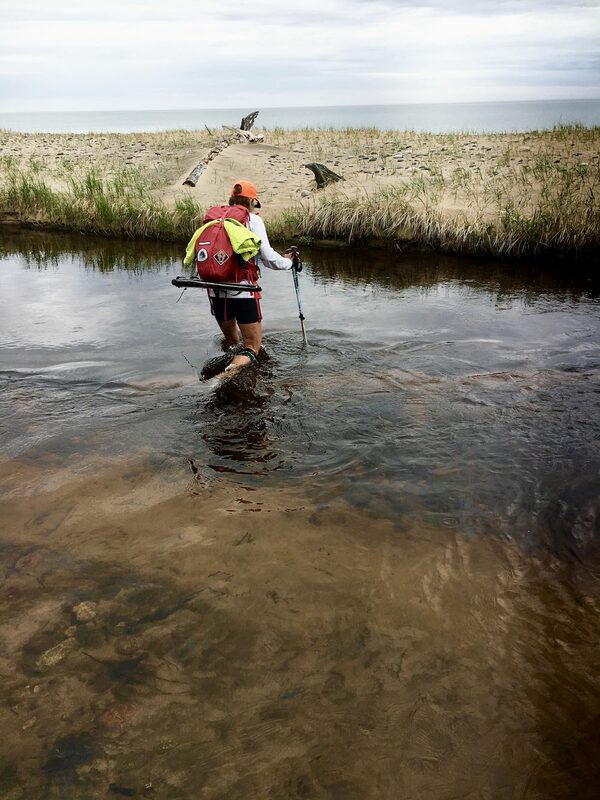 Currently, she’s section-hiking the 4,600-mile North Country Trail—stretching from eastern New York to central North Dakota. She’s breaking the distance into shorter day and weekend treks, and is eyeing another 800 miles on the Arizona Trail next. McManus’ trail adventures are fueled by both her travel writing career and love for the outdoors. Ice Age Trail. Photo by Michele Walker. Just how does one hike up to 25 miles a day with time to spare for documenting the journey along the way? 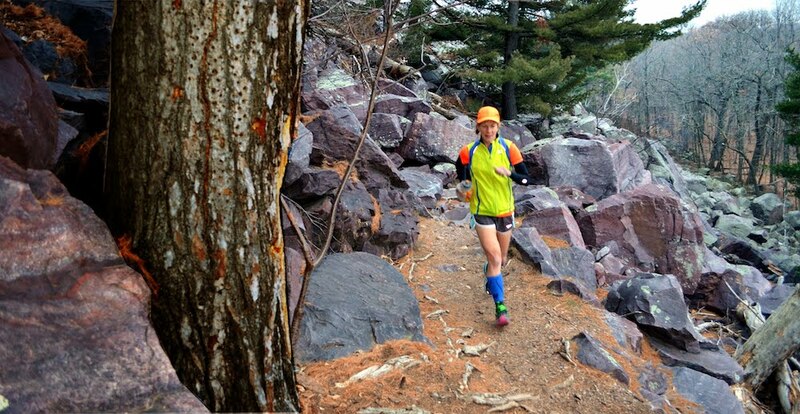 It doesn’t hurt that McManus is a lifelong runner, sending her laptop and gear ahead so she can alternate hiking with trail running. She’s used a combination of shuttles and hotels to fit her work in, but is easing her way into camping and RVing as ways to cut costs and spend more time outdoors. According to McManus, the flexibility of RV living is ideal for hiking as little or as much of the National Scenic Trails as you like. Asked what her favorite trails are, McManus recommends the pristine swamps and beaches of the Florida Trail in winter, the Ice Age Trail’s world-class glacial remains in summer, and the peaks and ridgelines of the New England Trail in fall foliage season. 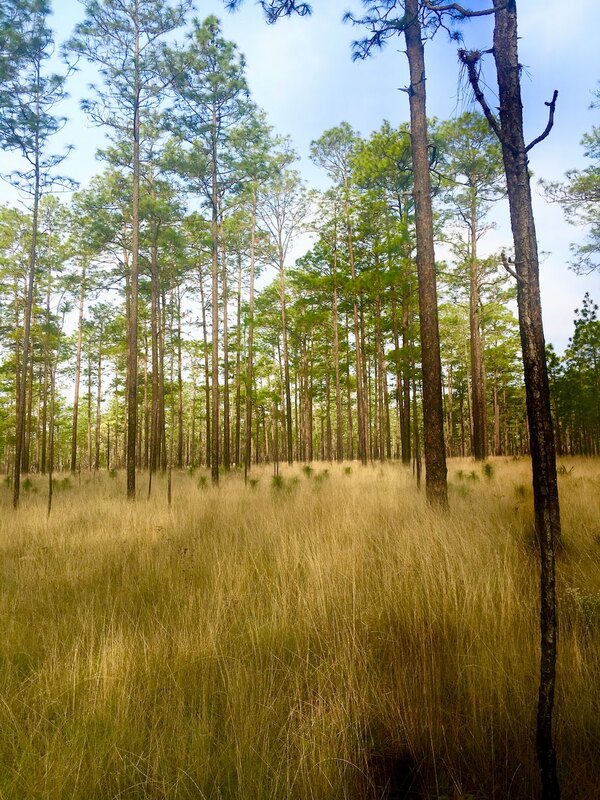 The Florida and Ice Age Trails are both only two-thirds finished, but local volunteer groups have websites, maps, and social media to help you connect the completed segments. There are similar resources for all 11 trails, and McManus is adamant about contacting them. Melanie backpacking across water. North Country National Scenic Trail. Photo by Ed McManus. She recommends being prepared for anything, like running into overgrown stretches of trail.